First Years - Introduction to the Library Sessions TODAY! To help you find your way around in your first weeks in NUI Galway, we are providing an information session on Library services for all first year students - "Introduction to the Library". This introduction includes an introduction to Library services and a tour around the Library. Apologies to those of you using the Library over the new few days, you may experience some disturbance from an increase in noise-levels. We will be welcoming new students to NUI Galway and showing them around the Library over the next few days. Tours for new first years will be taking place on Wednesday (11-1 and 2-6), Thursday (9-1 and 2-4) and Friday morning (9-1). To minimise the effect of this on your work, we would recommend using the Silent Zones on Floors 1 and 2 or the top floor of the Nursing and Midwifery Library during those times. Land–its ownership, occupancy and use– has been a central motif in Irish history and in the Irish imagination for centuries. Land has been a source of wealth and income, as well as a key marker of social rank and political power. A history marked by confiscation and plantation resulted in the land being a site for conflicting claims and identities in Ireland. Accordingly, primary documentary records relating to Irish landed families and estates provide a rich resource for the investigation of many aspects of Irish history. The Archives of the Hardiman Library hold a number of landed estate collections relating to major estates and families in the West of Ireland. The O’Connor Donelan collection provides a good example of the value of such records. The papers relate to the O'Connor Donelan family of Sylane, Tuam, County Galway. The papers cover the legal dealings of the family, the management of their various lands, and personal papers relating to various family members. The bulk of the personal material relates to Thomas O'Connor Donelan (1812-1874) and his sons. His eldest son Dermot had an interest in genealogy and forestry, and his other three sons were doctors in Dublin, Leeds and Manila. 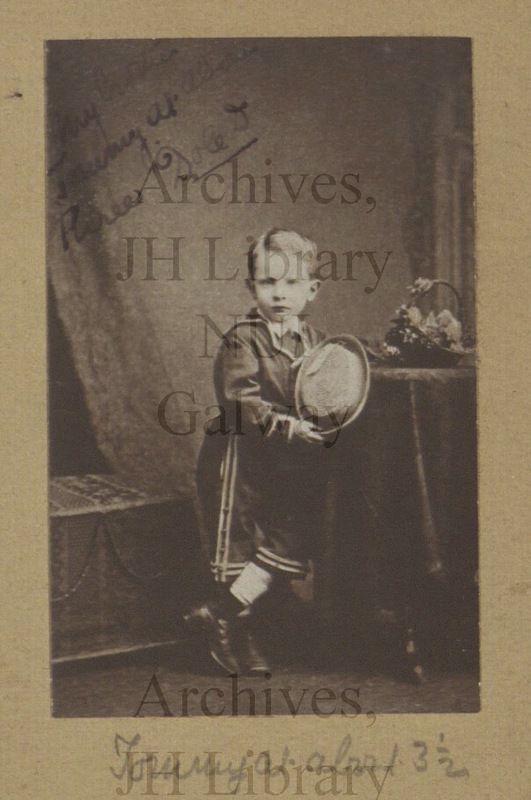 A Galway landowning family, the O’Connor Donelan family papers relate principally to the nineteenth century, though reflecting the activities of both the Donelan and O’Connor families in earlier centuries. The papers document various aspects of the lives and range of interest and responsibilities of the family: the legal aspects of their affairs, the challenges of estate management and the personal concerns (including political activities) and contacts of family members in the nineteenth century. The collection offers the researcher a valuable case-study of a modest Galway landed estate of the nineteenth century. Also available online from NUI Galway is the Landed Estates web site, www.landedestates.ie, a comprehensive and integrated online resource guide to landed estates and gentry houses in Connacht c.1700-1914. The Library Catalogue service (Aleph) will be unavailable between 16:00 and 20:00 on Tuesday August 26th to facilitate a database upgrade. 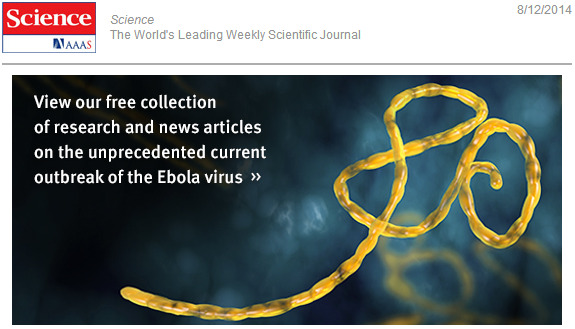 Given the current widespread and lethal outbreak of the Ebola virus, AAAS' journals Science and Science Translational Medicine offer a freely available collection of research and news articles on the viral disease to researchers and the general public. Whilst the league of Dublin-based bookbinders may present some names familiar to us, e.g. : Mullen, Cavenagh and Bellew to name but a few, once in a while we stumble across a name that is not so familiar. Binding a fine copy of our second edition of Annals of the kingdom of Ireland (Dublin : Hodges, Smith, 1856) is the work of a Kilkenny binder known only by his last name: Landy. The binding is a half leather affair with marbled boards, and a delicate foliated scroll across its spine bands. 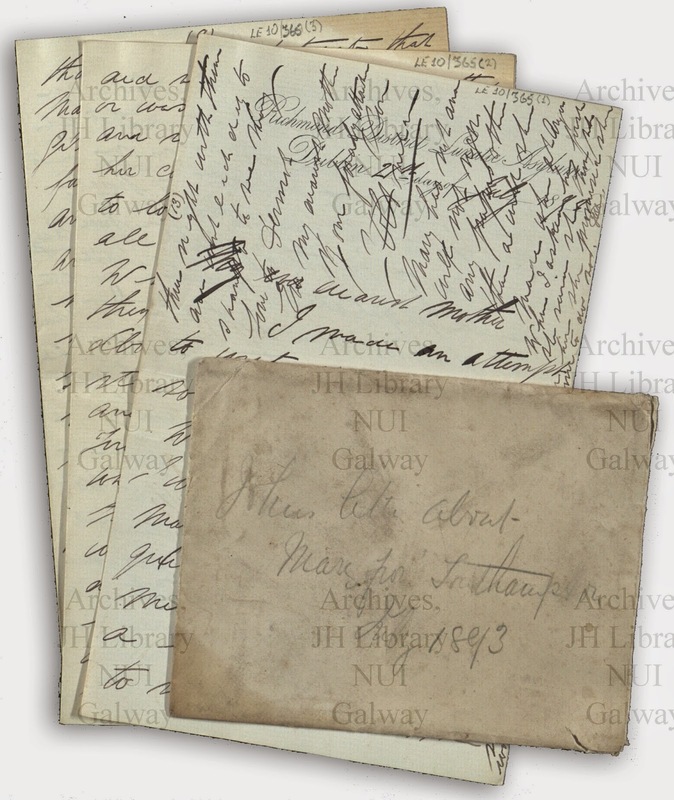 If you would like to view/ consult this item, or indeed any item from the Mac Fhinn Collection, please submit an online request or contact the staff of the Special Collections Reading Room in the Hardiman Building at specialcollections@nuigalway.ie.